Re-edit college selection. Design the experience of choosing a university. The educational circle which is in the midst of various changes such as reviewing the curriculum and changing the examination system, with the abolition of the center exam which can be said to be university entrance examination in 2020 ahead. Will not it be necessary to have a different approach to disseminating information from the university? 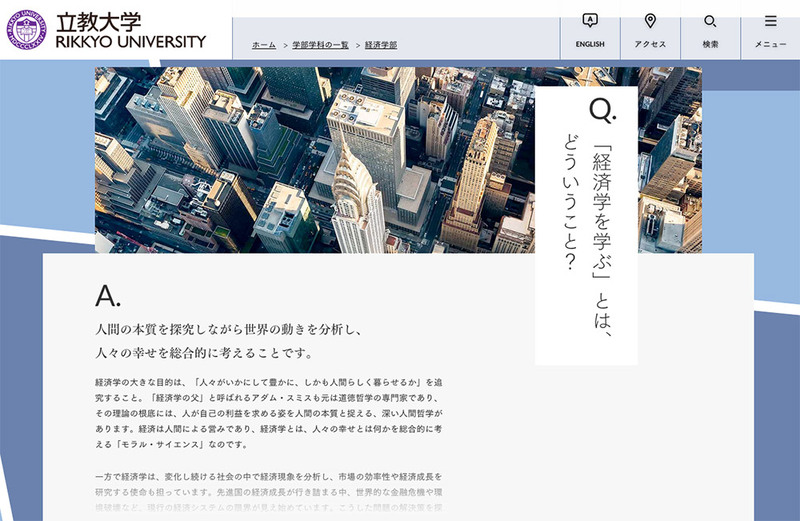 Web site renewal project of Rikkyo University that challenged “updating the quality of university selection” rather than mere renewal of the website. 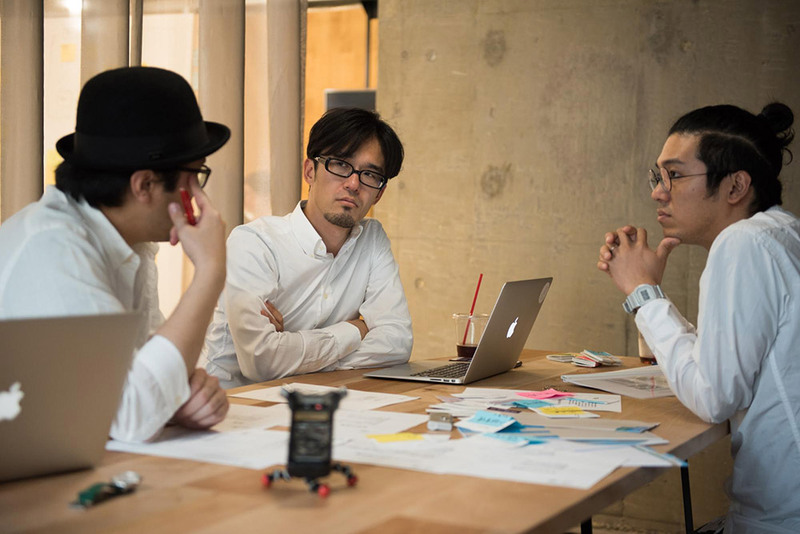 In the center of the project that spanned a year and a half, we aimed for two people, Loftwork’s Shoma Terai who kept searching for answers, and Mr. Seiya Munakata (Copywriter / Planner’s White Note Co., Ltd.) with this renewal I talked about ‘New college selection experience’. 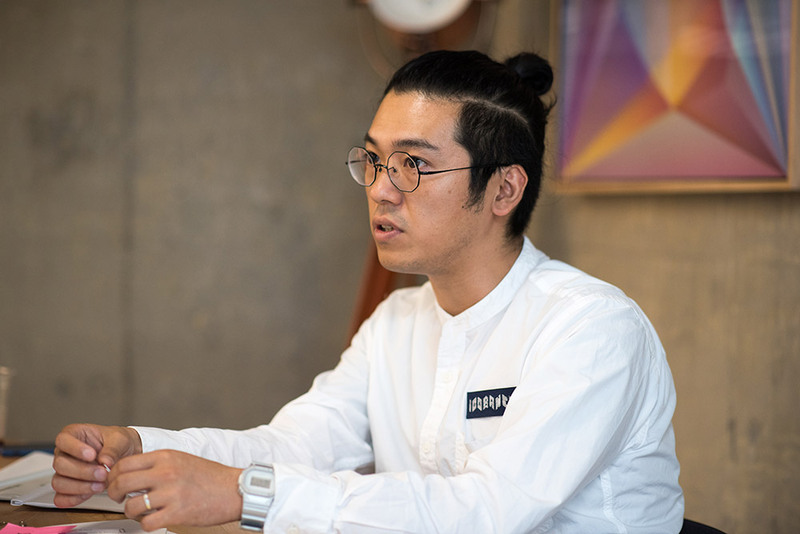 The listener is responsible for Adachi Yu, a copywriter who joined the project at the writing stage. I have participated in this project from the middle of the project and I do not know the background in the first place, so may I ask you about it first? The website of Rikkyo University was made almost ten years ago and correspondence to smartphones and tablets was a challenge, but above all, information for students, students for the students, information for faculty and staff were mixed and it was very hard to see It was. The examination students also seemed to have notified the medical examination for the campus on the page to see. Rikkyo’s Public Affairs Division who had a problem consciousness for a long time does not just renew the appearance of the site, but what is the way the university site is and the significance of existence? From the place that I wanted to reedit the whole site, I got a voice from Loftwork. In autumn of 2015, it was in March of 2017 that the site was released. It is about a year and a half project, but what kind of approach and effort did it concretely go? Firstly, in order to redefine the mission of the university public relations, I conducted a thorough research over 3 months. We heard each department in the university and asked questions, and reviewed the target through field research, industry trends, competition research, access analysis, and interviewed people in the vicinity. In parallel with that, we redesigned the site structure from scratch. Using the card sorting method together with the public relations section, we narrowed down the site to about 2,000 pages, narrowing down to sites outside the campus, with a site with about 30,000 pages of mixed information on campus and outside campus. Making Mr. Munakata with a new site map, at the stage of how to prepare the contents now. I remember seeing a tremendous site map (laugh). Certainly, when I entered, the target was already set for high school first and second graders right? I agree. There is a curriculum revision even in high school to abolish the center exam of 2020, and then it will be necessary to consider career path from about the first and second grade rather than starting suddenly selecting a university suddenly becoming a 3rd year high school student . Then, what I saw through research was “Why do high school students choose some universities based on deviation values ​​and employment rates?” The reason is that there is no reality for high school students, such as “university side can” learn professionally “or” career education is fulfilling “for high school students who are not yet well aware of the difference between the faculties of economics and business administration It is because it is unilaterally sending out. Even so told, as high school students do not come with pins, eventually I rely on specs such as deviation value, employment rate, tuition fee and university service contents, etc. for my precious choice of life. But that is the measure of parents or high school teachers. Nonetheless, parents and teachers are not responsible, parents do not understand the mechanism and environment are too different from their own exams, and the teachers are too busy each day until research at an individual university I can not turn my hand. So after all, it tends to be advice based on specs. I think that it is an era when the action of “choosing” is extremely difficult, as there are too many options and information in this era. According to the results of the questionnaire in the university, the student who said “I chose to stand up myself” was very satisfied while I was in the school, but the satisfaction level of the student “I chose it by being recommended by a person” was low. Depending on whether you choose it yourself, the quality of the university will change over the four years. In other words, I thought that it was the point of renewal this time to make me realize that I chose “by myself”. I talked about updating the experience of “choosing a university” so that high school 1st and 2nd graders can be interested in thinking about my future. What choice is to choose college? I decided on a mission “Improve the quality of choice at a university”, and in particular, what kind of experience did you talk about making an experience? I was thinking about something really necessary when a high school student thought about course and the first thing I was talking about was content rather than Rikkyo University that would make me interested in the contents of learning or academics I was talking that it would be nice to make it. In particular, Rikkyo University is pursuing “liberal arts” that acquires a wide range of cultural knowledge so that students can choose the future independently for themselves, because the university is not a school for employment preparation. Since I was a school, I thought that it would be contrary to their way of doing such a part of “learning” halfway. Let’s introduce academic content introduction to the main content, and change the selection experience there is a very essential idea. What did you want to know, what interested you, what was it interesting? First of all, it is more important than anything to meet such interests and concerns. Knowing the interests of learning will eventually lead to knowing yourself as well. First of all, unless you know your interests, you can not select any further. I see. Ask yourself about your interests and interests. Even if I can not find an answer, that is fine. I wonder what kind of things I have doubts, what kind of doubts I wanted to dig into, if it compares with specs, is not it just fine to meet such a question? According to our argument, it was said that it is not necessary to come to Rikkyo University in some cases as long as high school students can satisfy their interests. It was there. But what I often remember in Mr. Munakata’s words at that time is that if the site of the Rikkyo triggered interest in something, after surely comparing various universities, I finally returned to Rikkyo He should come. It is very strong where you gave me the opportunity to be interested and I will come back. As I was conscious of high school first and second year students, I remember the story very well. I properly design the path from encounter with interest to selection and let me chose autonomously for my own intention. I think that it will improve the quality of college selection. How do you make the entrance of interest? Looking at the completed web site, that thought is on the top page as well. There is a big question “Is it learning that suits me?”, And next to it is an entrance called “Search from the field of interest”. When clicking there, many keywords are lined up, for example, if you select the keyword “business”, 5 departments and 7 departments will be displayed as candidates. First of all, after establishing the entrance of interest, the economic approach is this, the difference is understood to be the business-like approach. I thought that introducing across undergraduates is a very important point. The name of the undergraduate department or department is only a categorization that the university decided independently, and while there are many similar names in other universities, there is not such a rough quiz like searching for an undergraduate school suitable for you ,When. “I do not know exactly what kind of academics is available, so I thought about how to choose it very well”. Therefore, selecting a keyword was also a very difficult task, and Mr. Munakata also got a lot of it. It’s too hard, memory is flying (laugh). Mr. Munakata, Loftwork, Rikkyo, we made a lot of discussions. As you enter into each department’s page from keywords that will trigger interests in that way, you can get a detailed explanation, “What does learning economics mean?” Or “What does learning economic policy mean?” There is a difference, so you can see the difference. Ultimately, the explanation sentence was a little downward from the department page, but in the original plan, it was scheduled to come to the top. Terai : Oh yeah. It also wanted me to touch the interests of academia itself, first of all, rather than explaining the features of the curriculum with the idea that their propaganda is postponement, and there was a desire for them to inflate their interests . If it really is possible to make a chance of interest, it is a wonderful thing, but from the only reason it may change someone’s life, at least, whether or not I can be really excited about seeing it when I am a high school student is important You did it. I really understand. When actually writing a copy of the undergraduate department or department, I could not write it unless I examined the various kinds of science, dig and dig, and finally think that I want to “interest, learn” by oneself. So, it takes a tremendous amount of time to write one department (laugh). If it is a sentence like the one written in the university guide so far, I’m sure that I will not be excited when I go to high school and I will write that I do not have enough of my belovedness in the appeal and fun of that learning You did not have it. I was concerned about how much I bite the difficult contents. Is it compatible with the ease of understanding for high school students and the academic impression of Rikkyo University? I want to use illustrations and diagrams when I talk about difficult stuff, but I aimed to read and understand to the last, I think that it also leads to the intelligence of this content. Never pointed out that high school students are not treated as children. How to broaden the range of interest. Then, in addition to the point of view of “creating an entrance to interest” in addition to the viewpoint of “creating an entrance to the interest”, we prepared a viewpoint “Expanding interest” by placing a column titled “Such a thing also ◯◯ 学” on each department’s page. Mr. Munakata wrote an article on the theme of “Insect Diet” of Department of Literature Department Department of History, it was awesome (laugh). That was fun! Even though it is a column of the Faculty of Letters Department History, the export is “I have eaten insects such as locusts, caterpillars, cicadas, crickets, wasps … … (laugh). That was my optimum solution after I wrote while suffering (laugh). Interestingness of such learning Plus, I think that digging up to unexpectedness and possibility is a liberal arts style which is also the backbone of Rikkyo’s education, I think that it is an approach not at other universities, and I write it myself It was an interesting part. I do not think there is one section, I think it was a pretty important point. It was funny if I saw the title of the graduation thesis written by the students. Tying Christianity with Marilyn Manson, Anti-Christ in modern times, rebellion of kindness. When such a width comes to be visible, is not it something you are interested in? It’s funny, is not it? There was no intention to embody liberal arts, but it did so in the end. I talked about “choosing a university” in Part 1, but from now on I would like to ask you about the part of “Choosing a University” for selecting a university. In fact, how did you proceed with “making experience” in Web renewal? I think that it is a big point that we made “while experiencing” themselves. 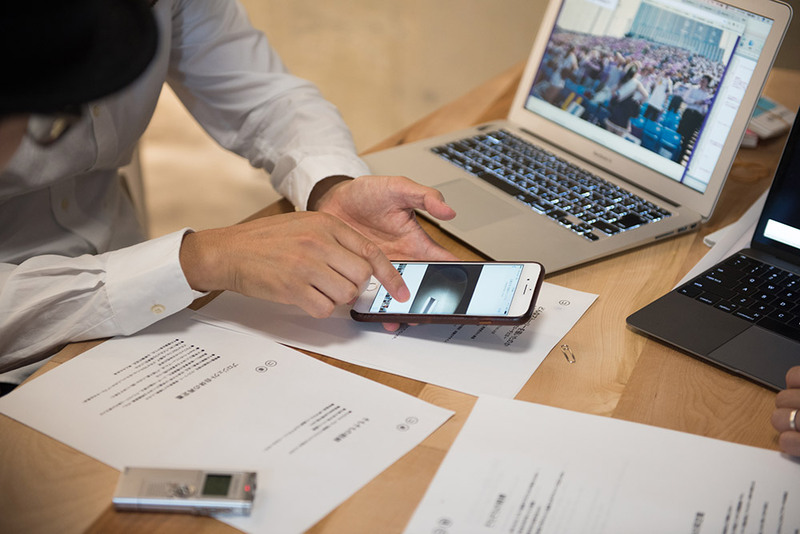 Specifically, we used a website builder to experimentally create a site of mock-ups that can be experienced on smartphones and PC’s real machines, at the full level of one faculty. I made the page composition and wire frame, but from that stage I did not write dummy copies, but I wrote a real copy. Certainly, when I got in, there was already a site like one real faculty, I was a little surprised. After all I thought that I could not design without contents. Especially in this project which changes the quality of experiences, this is what the “experiences” mentioned here tells and what is to say, so what kind of words will enter? Or, in what order do you speak? Or, what kind of photos are included? It is said that we have to argue while watching it properly. So I can share the image of the experience and I thought that should also be done. Then, at that time, I was also considering the design in parallel. 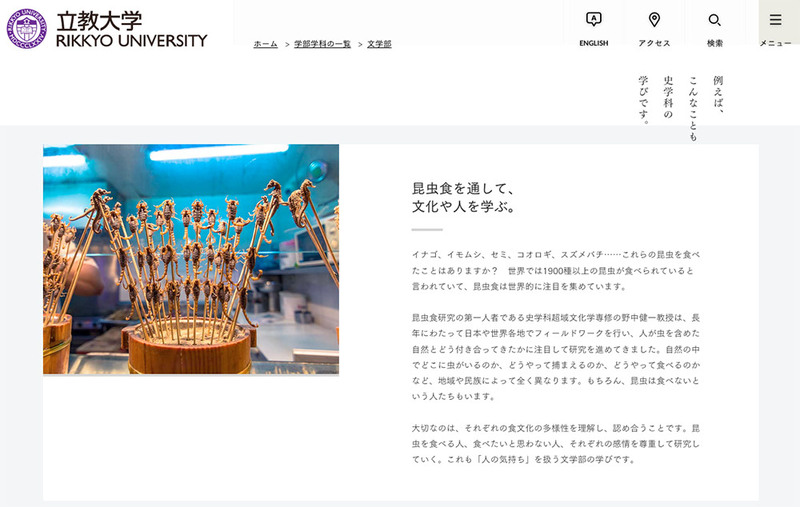 Instead of considering designs tailored to Web sites this time, I wanted to build a design image of the entire Rikkyo University and optimize it for Web sites. So, first of all, I entered graphic designer Mr. Kenichi Matsumoto ( MOTOMOTO inc ), first of all I developed the whole concept graphic. What was the problem in terms of design? 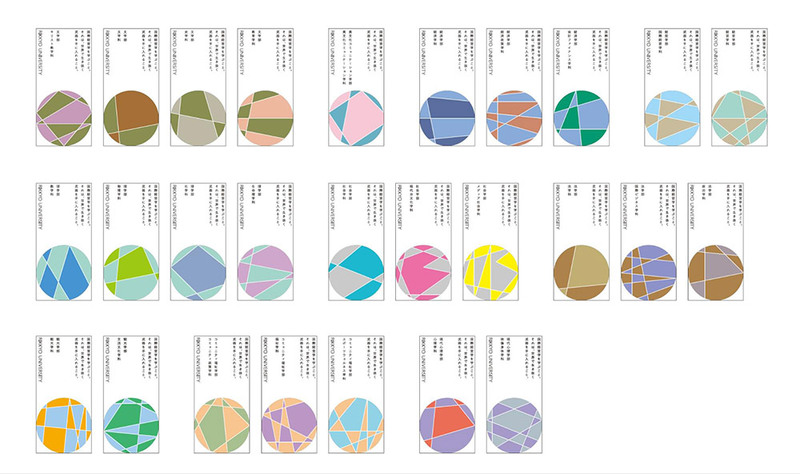 When consulting Mr. Matsumoto, until I got a lot of ideas, I simulated various patterns, up to the impression of letters, coloring, how to insert photos of interview articles. Moreover, it is said that it once made it a “fictitious department brochure”. Before making a mockup of the department page on the Web, I tried dropping it into a paper brochure and I verified what kind of information understanding experience it is. It is easier to grasp the whole image or the flow of the talk by spreading it out with paper and bird’s-eye view. Mr. Matsumoto’s design was also wonderful. That is a unique attempt. Certainly it looks like it is part of the first impression of the experience, and the process of verification is very important. is not it. 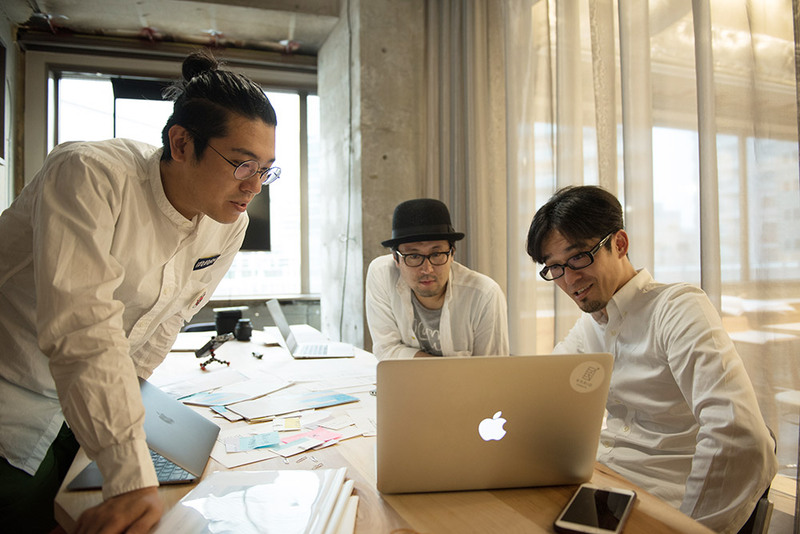 I requested aguije (aguije) of the design production company from there to design web designs, and when considering concept graphics into the web, I thought about what should be done as an interface. Mr. aguije gave a very fine detail to the Mr. Matsumoto’s graphic and gave direction and movement, I think that the quality of UI / UX of the entire site has become very high. How intentionally can you make "anything good"
Speaking of “design of experience”, the picture of TOP is also doing a good job, do not you? really. It’s too nice to be jealous for a moment. There is a rear feeling (laugh). But this is a documentary without 100% Yarase. I am a photographer and an image writer Feng Si Kin ( Yikin Hyo ) taking a picture. Suddenly I can catch my heart. The university itself is very photogenic and does not need extra words. I think that this has been successfully experienced “the value that Rikkyo University originally had”. It is also important to communicate the appeal of academic thought, but it is said to stick to feelings beyond reason. It is a big role in the visual aspect. The potential that campus has is amazing. If I’d like to go “, I guess it is a match yet. That is why I did not use any models to convey the feeling of air that I can not put into words, and I was sticking to reality thoroughly. Somewhat (lol), but I think that I was always conscious of how intentionally I could make “anything good” that I feel intuitively. Even so, everyone at the Public Relations Division was doing great. It has already been a big success. It is almost impossible. To be honest, I think that this project went through within campus. There are professors for each undergraduate, and it is quite difficult to organize the university, but how do you proceed to form consensus within the university? Basically Loftwork does not touch on campus presentation. After that department, that university has its own local rule like, like that, that department has left it to the Public Relations Division which is a professional who passes things inside the campus. That stance has been consistent until the very end. It seems that it goes through the campus as well, but the last page registration also responds to the public relations department without any breaks, and turns the floating budget for that page to the video production of the TOP page. It is a thought that my head really goes down. It is not a relation of ordering and ordering anymore, it is a way of co-creation, collaboration. Of course, we can say that we did not compromise at all. I have not heard of it, so I will not do it, I have not said anything like it, and on the contrary, I told clearly that the useless things are useless. Of course I did not do it for the sake of convenience. When Mr. Terai said that there are concepts to return, and Mr. Terai has always said that when it seems to be thrown away by various circumstances, or when the heart seems to break, there is a concept to return. It was easy to do as a production staff. I think that I was participating in a discussion while discussing various themselves, or feeling that I was participating in one open innovation. Everyone who creators involved in this time went to campus this time. After all I thought that I can not do a job with a soul unless I see the scene. 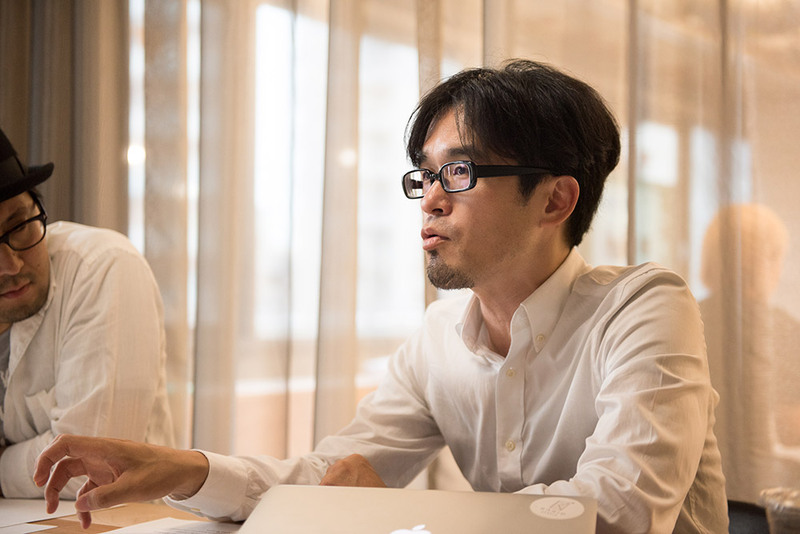 I also asked Nicotto Lab of Kanazawa who cooperated in the design of the Web, “I will go to see the scene” and asked me to have a business trip from Kanazawa. After that, you got it right before the client ne. Eventually, I wanted Rikkyo University to order orders directly from creators, without interposing loftwork. It costs me to keep us in between, and I think that the real start is from here, so please make it even more wonderful from now. There are also things that I deliberately asked for beforehand. By the way, there were quite a few people to launch. Have you been close to 30 people? On the contrary, on the contrary, I asked them to come to Rikkyo, so that they could feel that these people were involved. I think that I can not love it if it is a site I do not know what people made and I thought that the site was necessary for keeping that site properly alive. Now, the Public Relations Division is doing a great job of disseminating information, and Web news and columns are updated very frequently. Surely, I think that it is a site that sends out information more and more and wants more people to see. Well, as I talked about the launch, I would like to summarize the project soon, but what kind of project was this renewal like Mr. Terai? It is a feeling that “high-school students have talked about things to talk about properly” so that they can choose their own university properly. For example, how to interpret and explain economics, clearly declared that “Rikkyo’s economics is this” that had been made fluffy due to various circumstances of the university until now. It is easy if it rides on the previous context, it is easy if it flushes it to the format, but without doing that, it is that you broke up from the place of “what is the economy in the first place”, disassembled and rebuilt? I think that it would be nice if not only Rikkyo University but other universities would be able to choose a university from that point of view because that’s what lies in that root is finding your interest and curiosity. I would like to quickly make the state “deviant” out of specifications competition such as deviation value or employment rate. It is nice to compare various colleges and to be able to think that “Okinawa ‘s study is good”, and it would be nice to be attractive competition in those places. For that reason, I am aware of the risks, once you showed a stance of Rikkyo. Of course, I think that suddenly something will not change, just because you changed the Web, and I think that this is a search for the appearance of the Rikkyo that looked ahead for several years. Looking for what should be several years ahead. Well, that is not clearly visible, but because it is a university that can compete against the essential value firmly, such as the attractiveness of learning and learning to learn, to continue to be a university chosen there even after years I think that it might have been redefined at this timing. So if you do not point out what you should do now, in the situation that the examination system of the university will change and the exam with originality will be born for each university, it will become easy to flow in easy direction . I think that what we did this time will lead to 2020 and beyond when the new entrance examination system starts. 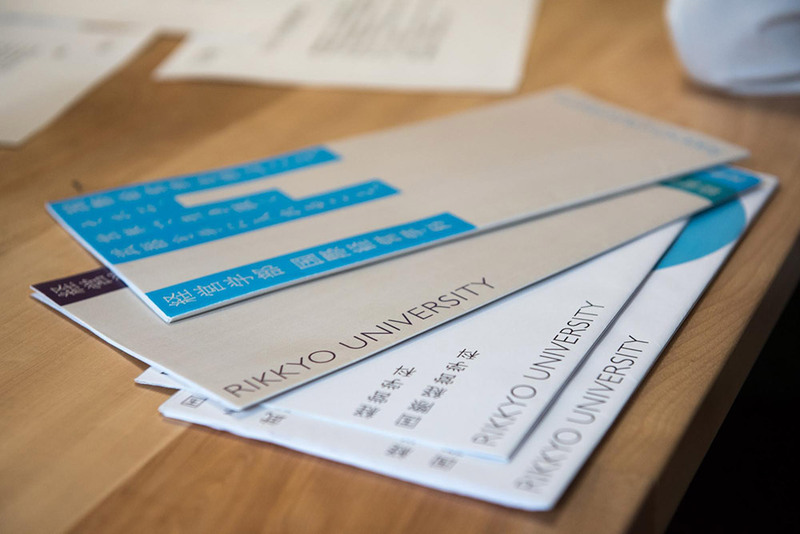 In the future, what is the image of how you relate to Rikkyo University? After all it is said that raising the quality of choosing a university is limited because what can be done on the website is limited, I think that I would like to do something other than the Web together. For example, I would like to do some redesign of class name. I do not quite understand the university’s class name. “Some theory A” or “Somehow theory B” or something. I do not understand the difference between A and B well, even if it is said to choose with that, what is that? It looks like. If you change it and become able to think of a university with an interesting curriculum, that will also lead to an improvement in the quality of the examination choosing the university. I would like to change the experience of visiting the university. If possible, would you like to experience the lesson itself? There may be simulated lessons at the open campus, but 40,000 people come to Rikkyo’s open campuses. It is not a real 365-day figure of Rikkyo, and if you really want to update the quality of your choice of college, how can we welcome people who came to see us, how does such technology do something? ,And. The project of this time was the design of entrance when high school students picked a university, furthermore, further upgrading the quality of university life, perhaps redefining the existence of the university itself, essentially the value of the university It would be nice to become an activity to increase the level. I do not know how long it will take, but I really want to do that. I think that this project is a pivot for that purpose. I see. Thank you for participating in a precious project this time. Let ‘s do something together again. Everyone wants to do something again. Congratulations! To choose a university to choose from the contents of academics. Update "quality" of college selection.